The present paper deals with the classification of multivariate holomorphic function germs that are equivariant simple under representations of cyclic groups. We obtain a complete classification of such function germs of two and three variables for all possible nontrivial ℤ3-actions. Our main classification methods generalize those used for the classification of simple germs in the nonequivariant case. 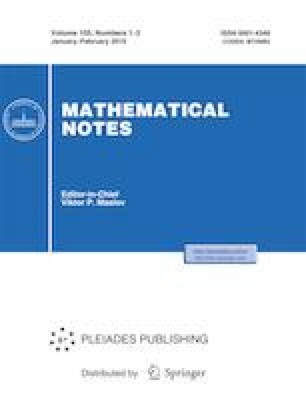 Russian Text © E. A. Astashov, 2019, published in Matematicheskie Zametki, 2019, Vol. 105, No. 2, pp. 163–178.